News BIOGEN WIRESHIELD now stocked in Brazil! BIOGEN WIRESHIELD now stocked in Brazil! BIOGEN WIRESHIELD is now in stock at Boa Praça Ship Supply LTDA, ensuring immediate availability to customers in Brazil. Manufactured in the UK by ROCOL®, BIOGEN WIRESHIELD is an EU Ecolabel certified, Environmentally Acceptable Lubricant (EAL) that complies with the requirements of the US Vessel General Permit (VGP). The wire rope lubricant’s pseudo-plastic rheology means that shear or agitation causes a reduction in dynamic viscosity, which allows maximum penetration into umbilicals and wire ropes, as well as increasing pumpability during application to minimise blockages. BIOGEN WIRESHIELD demonstrates market leading corrosion resistance, with zero galvanic reaction after 1000 hours in salt spray testing. Recent independent testing has shown the operational temperature range is between +50°C and +180°C ensuring consistent performance in Arctic conditions and during use In Active Heave Compensation applications. 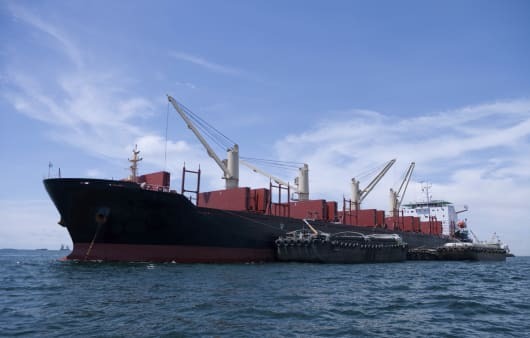 Boa Praça Ship Supply LTDA has specialised in supplying equipment to the maritime industry for almost 60 years, serving all major ports in Brazil with top-line products and services.